Becca Fitzpatrick is an American author who writes young adult fiction. She is best known for writing the Hush, Hush saga, of which the first book (Hush, Hush) debuted as a New York Times bestseller. She states on her webpage that her husband enrolled her in a writing class on her 24th birthday, and it was in this class that she started working on Hush, Hush. 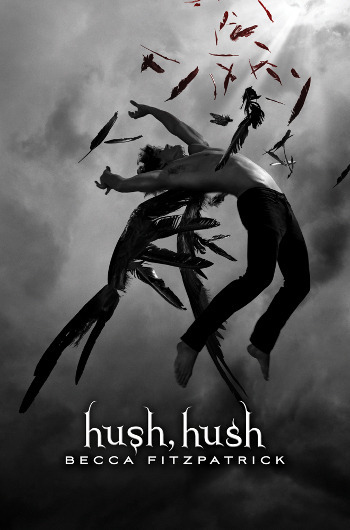 The saga consists of three published books to date: Hush, Hush, Crescendo and Silence. A fourth book is due to be published in 2012. Do you know if Patch has ever had any restraining orders? How could she think this is a good idea? When we meet her, Nora’s best friend Vee is funny and quirky, and great to read. 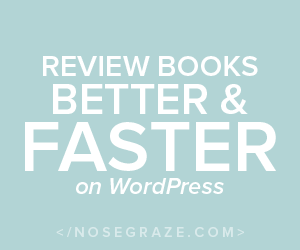 She quickly becomes annoyong as it becomes clear there is no depth to her character at all – she is a device the author uses to bounce off ideas and act as a faithful sidekick in Nora’s hair-brained escapades. Rightly convinced that Patch is dangerous, Vee attempts to force Nora to befriend another, equally dangerous stranger. Even after Nora makes it clear she is not interested and that he makes her uncomfortable, Vee continues to create situations where Nora is alone with him. This change in nature was incomprehensible to me and I don’t see it as acceptable best-friend behaviour. Nora’s attraction to Patch is very understandable. He is characterised very well – trademark black clothes and snarky attitude. His interest in Nora is evident from the first chapter, and their relationship is marked by hilarious one line quips thrown out by Patch, which leave Nora embarrassed or confused. He is easily my favourite character, despite his tendency to be a jerk. He is funny, smoulders, tortured in love, and very dangerous. What more does a hero need? Becca Fitzpatrick has a lot of potential and writes confrontation scenes and sexual tension very well. This book was fun, and the characters made it interesting (even Nora). I have read the sequels and will be reviewing them, and will read the fourth and concluding book when it is published next year. I recognise that YA fiction does not always have to be deep and meaningful, and as a relaxing, fun read, Hush, Hush is very successful.